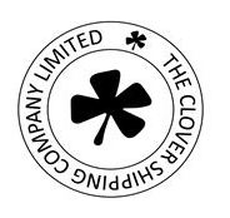 Clover Shipping is a specialist freight forwarder primarily servicing the defence, aerospace and manufacturing industries. The company has developed its services and capabilities over the years and holds numerous accreditations and certificates( further details available). We operate a 20,000sq ft facility which has enabled us to expand our secure warehousing handling and stock management activities. CP Cases designs and manufactures high-performance, protective cases and racks used for transport, operation and storage of essential equipment in commercial and military applications. Many products are accredited to MIL-STD-810F, rated IP65 and carry NATO stock numbers. Offering the broadest range of protective, operational transit cases for broadcast and media, defence and security, medical and scientific and many other sectors, CP Cases expertise in producing cases, 19-inch rack solutions and bags means an unparalleled range of in-house skill and expertise with rotomoulded plastic, aluminium, laminated plywood, HPP, textiles and CNC foam machining. CP Cases’ products are available in a wide range of standard sizes, and can also create custom solutions to meet clients’ requirements, used successfully worldwide in a huge variety of applications. Our solutions are trusted by the professionals when they need their kit to arrive. On time. Ready for action. Every time. 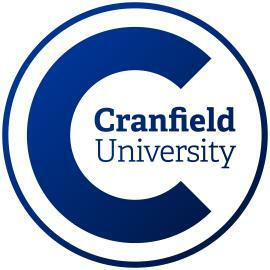 We dramatise events for emerging security training needs in the UK, MiddleEast and worldwide. Our specialist roleplay actors and film makers are trained by behavioural psychologists and rigorously rehearsed in criminal and victim behaviour. We help trainers deliver essential high octane events. DB Schenker is the world’s leading global logistics provider — we support industry and trade in the global exchange of goods through land transport, worldwide air and ocean freight, contract logistics and supply chain management. DB Schenker is committed to being a flexible, value-added logistics provider for the aerospace and defence industry. We recognise the unique needs and challenges of the industry. We integrate logistics, transportation management, and information monitoring in accordance with Aerospace & Defence requirements to provide competitive logistics solutions for your supply chain. Providing engineering solutions, technology systems and support services to Defence and Industry where reliability, safety and protection are paramount. Extreme Cases design, manufacture and supply robust rugged cases, containers and backpacks for tough environments. Protecting sensitive equipment in the field, during transit and in operation for military and commercial applications. Proud to be manufacturing in the UK, we are all about custom case solutions. Over the last 10 years we have delivered a diverse range of highly technical products. Our innovative bespoke cases and containers are used worldwide by the military, such as, UK MoD, the Bundeswehr (German Army), NATO and European Special Forces. 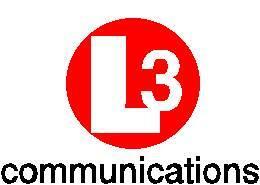 Headquartered in New York City, L-3 employs over 63,000 people worldwide and is a prime system contractor and systems integrator in aircraft modernisation and maintenance, C3ISR (Command, Control, Communications, Intelligence, Surveillance and Reconnaissance) systems and government services. L-3 is also a leading provider of high technology products, systems and subsystems. The company reported 2009 sales of $16 billion. L-3 consists of 4 business segments: Command, Control and Communications, Intelligence, Surveillance and Reconnaissance (G 3lSR), Government Services, Aircraft Modernisation and Maintenance (AM&M) and has the broadest base of Specialised Products in the US defence industry. When commercial realities demand that more and more is delivered for less and less and trading pressures dictate that time to completion is squeezed to the minimum, you need to be sure that your chosen partner has both the enterprise and the expertise to deliver without exposing you to unnecessary risk. With a comprehensive, all under one roof, design to manufacture capability (including our own in-house CAD studios and Test Facilities), a refreshingly straightforward approach to working relationships and a pool of expert, experienced professionals, we have an established track record of delivering high quality engineering solutions across the full spectrum of manufacturing methods. Our internal quality and environmental management processes are underpinned by our AS9100 revision D and ISO 9001 and ISO 14001 certifications to give you the assurance that you can be entirely confident in the products and services we provide. Additionally, to measure our internal systems and processes against the best we have become an active participant in the Sellafield Supply Chain Coalition program whereby we are measured against those members of its supply chain that are deemed to be world class. As experienced project managers, we understand the significant amounts of time and resources needed to keep control of a project serviced by a variety of individual suppliers. We offer a single source of supply from design to manufacture, taking away the hassle and leaving you free to concentrate on your core business. Using all our expertise and experience to ensure that each phase of the project is completed on time, within budget and the required quality. TEK Military Seating offers OEM tried and tested vehicle seating (Manufactured in the UK) which includes drivers, commanders, gunners, turret, loaders and crew with suspension, pedestal, sledge, runner, riser and plinth options. Blast attenuation seating, which is adjustable and reusable, also available, plus blast floor matting and universal vehicle stowage. ProTEK® military vehicle seating has been developed to offer unrivalled quality, functionality and modularity across most types of military vehicle (both Legacy and new build) utilising proven components which are either COTS (Commercial off the shelf) or MOTS (Modified off the shelf) - the benefit to the customer is that these seats can be produced quickly and that all the components have been tested and conform to current safety and military standards such as Stanag 4569 blast attenuation and Stanag 25-9 conforming seat restraints. TEK is a global supplier offering innovative, cost effective products supported through the life of thier use. TEK operates quality systems ISO 9001-2015, ISO14001 and our own complimentary manufacturing quality system targeted at zero defects, which is based at a new state of the art production falcility in Reasby near Leicester. Vehicle Seating is our core product and has been for almost 40 years, we offer an extensive range of Driver, Commander, Crew, Turret, Loader seating along with Light weight Mesh for open top vehicle, most of which have Stanag 4569 AEP55 Vol 2 Blast attenuation options. Delivering the future in Supply Chain Outsourcing - TVS Supply Chain Solutions (TVS SCS) is a global provider of world class, end-to-end supply chain services for the Defence, Automotive, Beverage and Utility markets. Clients include - UK MoD, Babcock International, United Utilities, ENWL, Coca Cola, Diageo, Molson Coors, Isuzu and LDV. TVS SCS delivers business outcomes in the form of Revenue Growth, Inventory Reduction, Delivery Time Reduction and Operating Cost Reduction. Our specialist services set us apart as a market-leading fourth party logistics provider. Services include: intelligent parts management; funding and planning; supplier management; warehousing; picking and packing; inbound and outbound transport and logistics; same day delivery; kitting; sequencing; IT software for parts forecasting and costing, Electronic Product Catalogues for immediate and accurate online ordering and client or consumer user manuals and product literature.